The comfortable, ridgetop community of Fairfield in the Foothills provides spectacular mountain vistas, easy access to downtown Tucson and gorgeous views of the Tucson valley below. 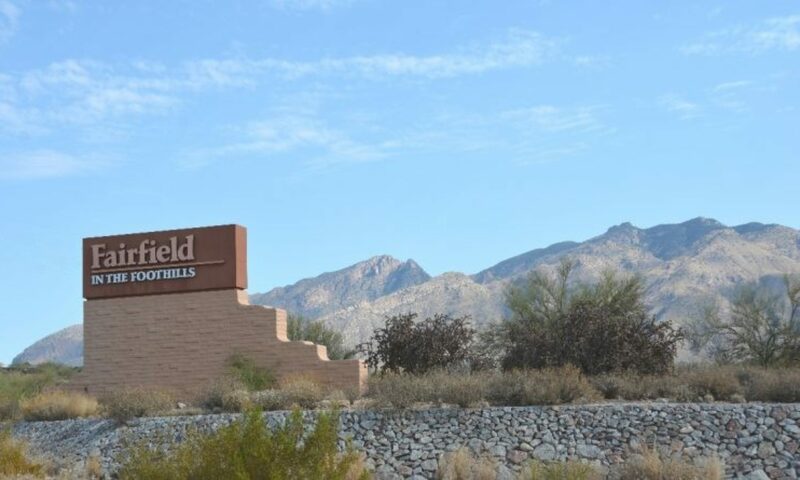 A well-established, friendly community, Fairfield offers beautiful homes with mature landscaping nestled in the Santa Catalina foothills with the convenience of city amenities nearby to provide premiere luxury living within effortless reach of Tucson. Most of the homes in Fairfield were constructed in the 1980’s and 1990’s and are designed in the territorial block style, but there are also some more contemporary homes available as well. Some of the residences have been refurbished and updated offering everything from private pools and opulent gardens with mature vegetation to charming sun rooms and see-through fireplaces. Homes in Fairfield run from the low $200’s up to $1,000’s depending on the location, level of luxury and amenities each residence offers. Located in the lower Catalina Foothills on the eastern side of Tucson, Fairfield in the Foothills is a highly desirable area due to its quiet privacy and convenient location close to downtown. Because the community sits on a ridge overlooking Tucson, many homes in Fairfield in the Foothills provide exquisite views of the twinkling lights of Tucson and the Rincon Mountains. Sweeping, panoramic vistas of the Santa Catalina Mountains make Fairfield a special place to reside where homeowners just have to walk outside to connect with nature. As the community rests on top of a ridge deep in the foothills, there is not much traffic passing through the subdivision short of local residents. A family-friendly community, Fairfield offers swimming pools and tennis courts. While Fairfield in the Foothills provides a gateway to hiking in the Catalina’s at nearby Sabino and Ventana canyons, the community is also just a 10 to 15 minute drive downtown. In addition, it isn’t far from upscale shopping and fine dining at the exquisite La Encantada. The amenities of the Catalina Foothills are also nearby. 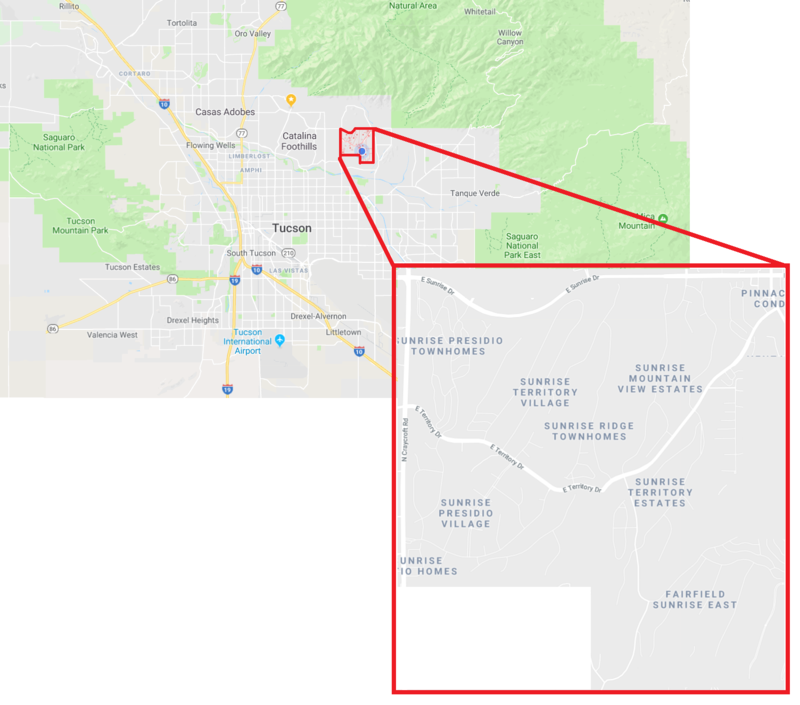 Residents of Fairfield in the Foothills with children are served by the public schools in the Catalina Foothills School District including Ventana Vista Elementary, Esperero Canyon, and Catalina Foothills High School. Several private and charter schools are also available for families to choose from. Other neighborhoods nearby include Ventana, Tucson Country Club and Sabino Mountain.